The gummiest round gel implant in the US. Allergan, the maker of Natrelle®, has been evaluating the long-term safety and effectiveness of Natrelle® silicone-filled breast implants in patients since 1999. Is my surgeon familiar with gummy implants? Many plastic surgeons are familiar with gummy (cohesive gel) breast implants. Natrelle® is a well-known and trusted implant brand, so ask for Natrelle® by name. 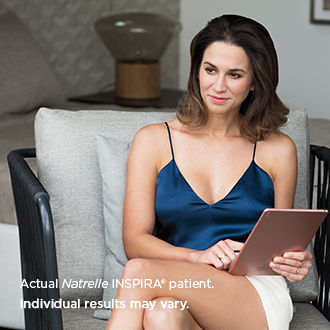 The Natrelle® ConfidencePlus® warranty offers you more coverage for your breast implants—all designed for your peace of mind and satisfaction. What warranty am I automatically enrolled in for free? What’s covered if my implant ruptures or deflates? What’s covered for capsular contracture Baker Grade III/IV? What’s covered for late seroma? Can I upgrade my warranty? Yes. For $200, you can enroll in the ConfidencePlus® Premier saline warranty within 45 days of your surgery (see below). †Valid for surgeries on or after November 1, 2014. ‡Valid for surgeries on or after July 1, 2014. §Valid for procedures on or after January 1, 2019. ||Covers one incident per patient; recurring capsular contracture is not covered. ¶Valid for cases diagnosed on or after January 1, 2019. #Valid for cases diagnosed on or after January 1, 2018. Each Natrelle® breast implant is covered individually. So in case of any covered event above, you may choose to replace both implants or only the damaged implant. Coverage of the opposite (contralateral) implant will continue for the remaining life of the warranty. For coverage eligibility, your surgeon must contact the Allergan Product Surveillance team prior to surgery at 1-800-624-4261 and provide the appropriate documentation. The surgeon is required to return the explanted, disinfected Natrelle® breast implant(s) within 3 months of the date of explantation. Allergan requests the return of all explanted breast implants associated with a complaint to assist with evaluating and maintaining the quality and safety of Natrelle® breast implants. Where applicable, financial assistance will be issued upon receipt and verification of the explanted product(s), the Returned Goods Authorization (RGA), and the patient’s warranty general release. 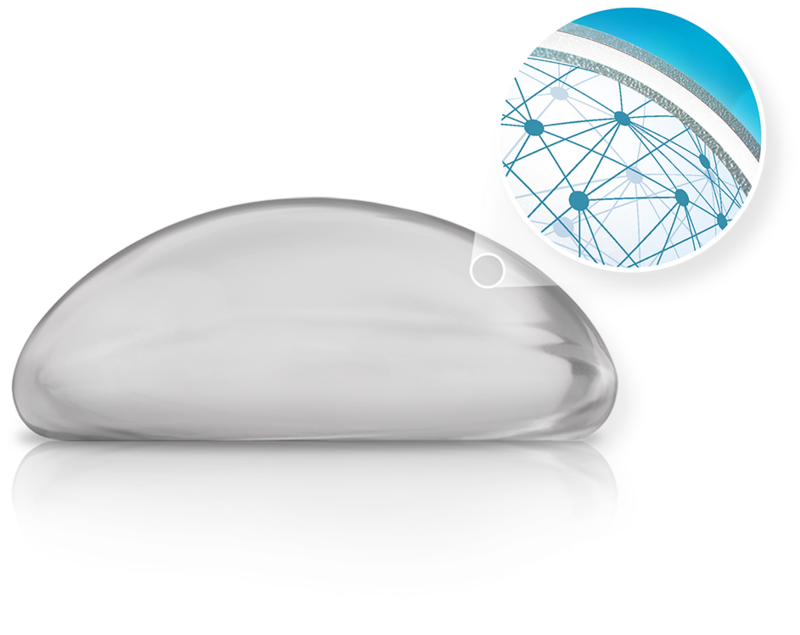 For patients with Natrelle® gel breast implants, enrollment in the ConfidencePlus® warranty is automatic and free. You do not need to do anything. For patients with Natrelle® Saline-Filled Breast Implants, the ConfidencePlus® saline warranty is automatic and free. However, if you would like to upgrade to the ConfidencePlus® Premier saline warranty, the enrollment fee is $200 and must be completed within 45 days of surgery by submitting the completed enrollment form by mail, fax, or online here. If you chose Natrelle® Saline-Filled Breast Implants, you can upgrade to the ConfidencePlus® Premier warranty within 45 days of your qualifying surgery. The enrollment fee is $200. All information below is required. Title (select) MD Ms. Mrs. Mr. Thank you for choosing Allergan and for your purchase of a ConfidencePlus ® Premier warranty. You will be notified by MAIL. Please allow 8-10 weeks for processing. ASK your surgeon for more details about the Natrelle® ConfidencePlus® warranty program. Does the patient authorize you, the medical practitioner or staff member, to send this information to Allergan for the purposes of the Natrelle ® warranty program?